Swift Courier Solutions Ltd was setup in 2007 originally as a sole trader, due to the rapid growth, in April 2012 Swift Courier Services became Swift Courier Solutions Ltd, Since then we have continued our rapid growth without compromising the standard of service which we offer. Swift are extremely pleased to announce the launch of a new depot in Liphook, Hampshire, GU30 7RR, the depot opened on 1st August 2016, this gives us even more opportunities to deliver into the capital with ease, also the South Coast will now be covered from this office, we are very excited to work with customers in the area old and new. We specialize mainly in urgent response light haulage, from small vans up to full Articulated lorries across the United Kingdom, however we do offer a full range of reliable services from Aircraft on Ground, UK & International Parcels & Pallets, Air Freight, Warehousing or even Full Container loads via Ocean freight. With all our vehicles being tracked, we can give a live estimated time of arrival on request and instant proof of delivery emailed upon completion. 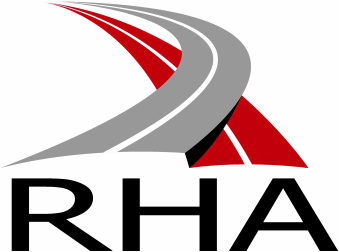 Swift Courier Solutions Ltd are very proud members of the Road Haulage Association and The National Courier & Despatch Association.